After some heavy flooding, some guys went out on a boat to try and help anybody who may need it. But they never expected to be part of a cow rescue mission! They spotted what they thought was a large log in the distance, but when they saw it move, they realised that the log was actually a cow who was trapped in the flood. They tried so hard to try and get her to safety but her legs were giving up on her. She was finding it very difficult to move and only her head was out of the water. 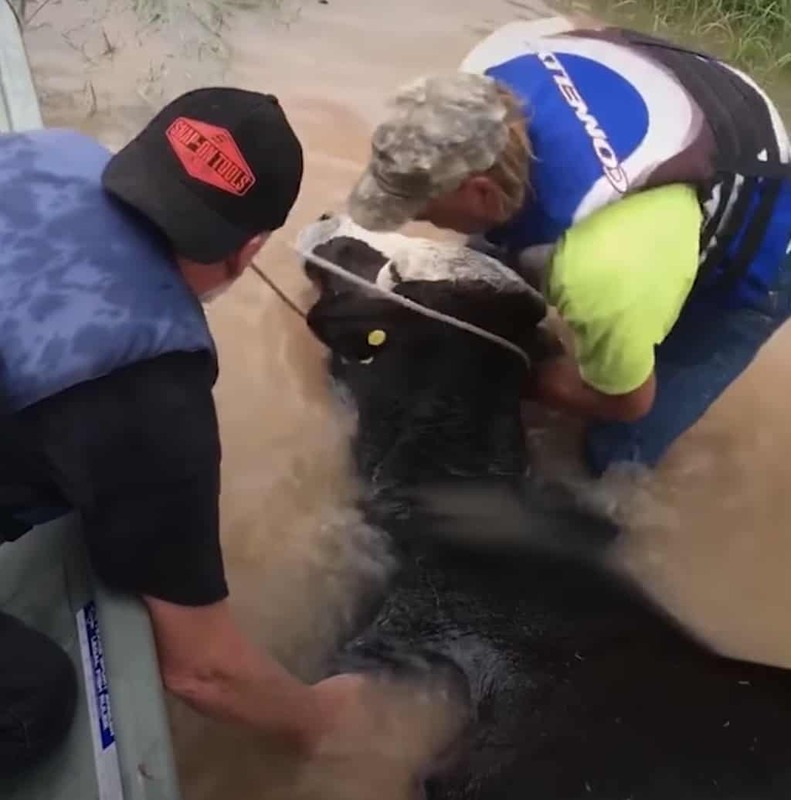 The rescuers managed to tie some rope to the cow and they moved her gently towards the side of the boat. From there, they tried looking for some dry land that they could get the cow to for safety. They still weren’t coming across anything that would work. Soon, the rescuers started spotting tree branches so they knew they must be getting close to safe land. They arrived at the shallow waters by the dry land. The men jumped straight into the water to aid the cow. She was tired and distressed and the men could see that the cow was struggling to support her own body weight on her legs. But they weren’t giving up. With a friendly nudge and some manpower, the guys managed to get her back up onto her feet. You can see how exhausted the cow is. But we’re just glad she’s okay. The way she eventually runs off into the sunset, safe and free, is so heartwarming to watch.